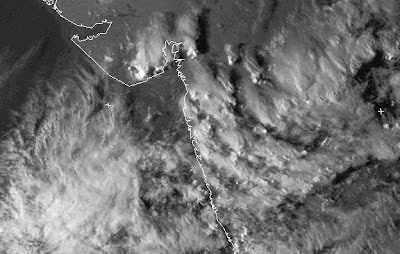 This Dundee sat.Image of 5.30pm Wednesday, shows Thundercloud evelopments in Maharashtra. The Taller ones are seen East of Mumbai and further in NW. Point I want to make is, there are 2/3 specific thunderheads in South Saurahtra. They have grown tall and the tops are spreading (anvils) into the stratosphere, Northwards. They are forming cirrus clouds. One is also seen across the gulf of Cambay. similar cirrus formations are seen in North Mah. also. Kalyan 72 mms, Uran 71 mms, Pen 68 mms, Matheran 61 mms, Panvel 68 mms (i was given 37 mms.maybe it was till 8.30pm. Junaud can tell if it rained at night), Karjat and Colaba 52 mms. Elsewhere Akole (Nagar) 72 mms. Nilwande (Nagar) 95 mms, Kadwa (Nasik) 91 mms. Bhatsa Dam 72 mms. Superb anvils .. Today morning only I mentioned in the blog that isolated places of South Saurashtra may also develop an thundery activity due to UAC influence ! @ emkay & @ Junaid.. Whether Any rain activity with thunderstorm taking place at moment in Panvel region ! I think from Karjat, Matheran belt Rain may be approaching Panvel ! @ Juniad. That only Badlapur bypassed storm moved to Panvel..As just 25kms SW of Badlapur Panvel is located..Badlapur at moment having lightening & thundering in SW side. Thats why I ask u.
raining wid medium intensity at new panvel now !!! Suddenly Huge lightening started here in Badlapur in west direction now and severely thundering with thick drops falling. rains stopped here at new panvel now. Confirmed from the friend just now that Very heavy rain with huge lightening grounding & severe thundering sound lashing Ambernath & Ulhasnagar belt.. It's seem that 2nd Thunderstorm also bypassed Badlapur now with just drizzling here..
Just thick drops drizzling from past 1hr in Badlapur.Now lightening & thundering stopped. So 3mm noted in 1hr. IMD satellite picture shows thick clouds over central India. MP,chattisgarh,Guj,Mah...Raj. Very ironical IMD says monsoon withdrawn ...next day monsoon vigourous on same regions. Delay of withdrawl due to moisture incursion. Bangalore,Mysore... Sept- dry, October more drier. Not a single drop of rain. Infact entire TN shows no cloud cover (we are in oct). NEM may not even start due to persistent SWM. This defnitely shows desertification process for SE interior India, and south on whole is showing decreasing rains and absence of any persistent monsoon axis - trend quite apparent over last few years. Same is with Sri Lanka- 2012 is a serious drought. 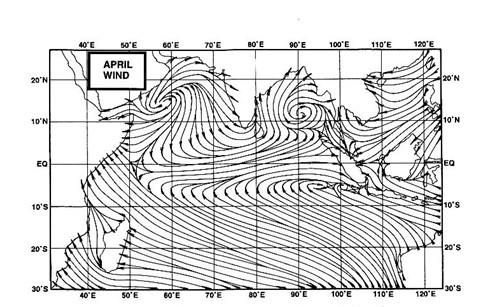 Time scientist conduct research on chaning weather pattern of India. Very heavy rains here in Thane (Godhbundar Road) for the past 10 minutes accompanied by a little bit of thunder. @emkay,,,, rajesh was giving the readings for monday,,nd it was definitely 68 mms tht day!nd yeah at new panvel also the spell was heavy but for a short tymm,,,i commneted soon after 4 mints wen the spell became moderate!! :) nycc to see a panvelite here! Junaid I presume you are posting as Unknown via Google account.. why don't you change your signature to junaid?...easier to identify and remember..
Junaid by the way what is the weather like in Panvel now, is it raining..? @junaid surprised u didnt notice me before :) always thought u were in old panvel, i am also in sector 6 new panvel east nr phadke school, which bldg r u in ? As is noticed , vagaries has re-organised its comments section, and maade it compulsory to sign in...please sign..request to maintain dignity and seriouness of topic. Thanks to all. Junaid, your views are most welcome and looking forward to your views..please dont keep "unknown" and sign in..Thanks a lot. @ GSB. Here in Badlapur just cloudy now with 25 C temp. And Panvel might be also same. I think Borivali & surrounding patch is under rains now. Abhijit, the rains have stopped here after a brief but intense spell of about 20 minutes. There seems to be no rain in Thane city and Mulund(w) and none in Borivali and Dahisar in the past one hour. Probably a localised affair only in this part of Thane. @emkay i live at national complex ,,besides mtnl exchange,,nd hav a terrace ,,so get a great view of the horizons nd rain,,nd i live in terrace room so any rain activity or small drizzles also gets noticed easily! Junaid, when you log into Google , go to google.com... from the top panel click more... select Blogger... in Blogger you have to find Blogger profile..(will be at the top right corner)... and then select edit profile... and change DISPLAY NAME to whatever you want like JUNAID. Hope that helps.. !! I Think UAC now more near to Konkan(including Mumbai) coast .So today and tomorrow might be an widespread rain for Konkan region..